1) to streamline the process of review for new construction and rehabilitation work for property in the City's residential preservation zones and 2) to establish a set of guidelines that would be used to indicate how proposed improvements should be designed in keeping with the traditional character of these neighborhoods. A public workshop was held to explain the proposed changes; the 60+ people attending this workshop, representing property owners and residents from three separate neighborhoods, voiced overwhelming support for these design guidelines. Subsequent public hearings held before the Planning Commission and City Council were remarkable for their lack of controversy, given the fact that the proposed amendment would have a direct effect on the future of three residential neighborhoods. 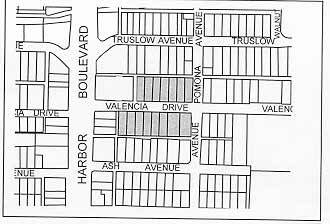 These design guidelines specifically apply to residential properties found in three identified neighborhoods as shown by the shaded areas on the following page. These shaded areas are classified with a residential preservation zone - either R-2P or R-3P. For the properties in these preservation zones, minor construction or improvements that comply with the design guidelines may be approved by staff from the Development Services Department without further review. Only major additions or new residential dwellings proposed in the preservation zones will be subject to a more formal review for approval by the Redevelopment Design Review Committee. The three identified residential neighborhoods are characterized by post-World War I working class housing: dwellings originally intended for households with modest or middle incomes, of which most were built between 1920 and 1940. 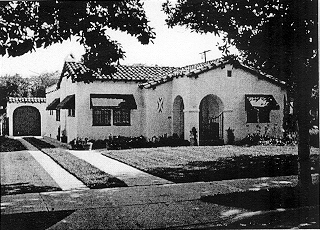 California bungalows are the predominant architectural type in these neighborhoods, but other styles are also prevalent, especially housing with a Spanish Colonial Revival design. 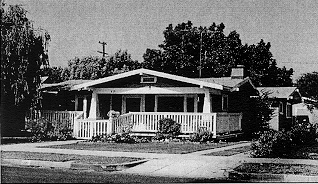 Many of the properties still exhibit the original housing essentially intact with little alteration or addition, despite having a zoning classification that has permitted a higher intensity of development. 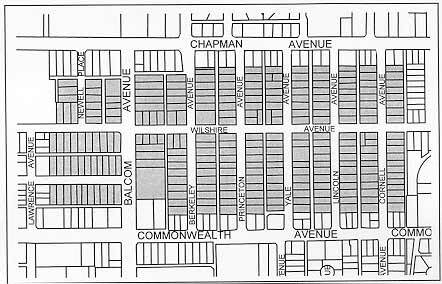 In 1979, at the request of residents in these neighborhoods, the City established two new preservation zones - R-2P and R-3P - and applied them to the properties of these neighborhoods. These zones allow more than one unit on each lot, but new construction is specified to be in keeping with the traditional character of the area. 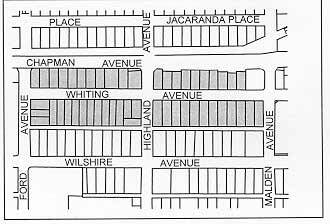 The adopted design guidelines are intended to indicate how new construction and proposed improvements to existing buildings should be designed to protect and retain the area's historical context - both the prevailing streetscape, as well as the traditional building styles found in these neighborhoods. As an underlying policy, the original architectural elements of existing residences should be retained, repaired or restored rather than replaced. If such elements cannot be repaired or recreated, the replacement should be made with the original material when possible, but when necessary, substitutions may be made with materials that match in design, texture and color. Original materials shall be proven to be deteriorated beyond reasonable repair before substitute materials can be considered. 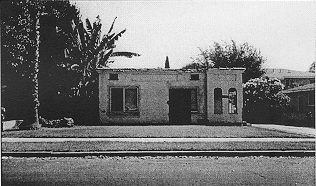 It should be noted that there are many other historic areas or districts in Fullerton that could benefit from preservation actions such as an implementation of these design guidelines. 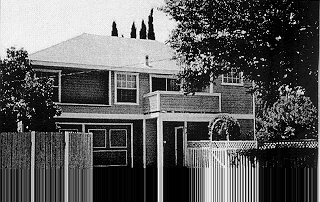 Any neighborhood which desired to be classified with a type of residential preservation zone would be given some measure of protection from intrusive development or inappropriate design as afforded by these guidelines. The second story addition in this photo, while massive, matches the architectural features and provides a compatible design. 1100 block of West Whiting Avenue. These design guidelines apply to all structures within the residential preservation zones; they are in addition to the zoning standards applicable to each property. These guidelines recognize that the significance of the preservation zone results from the accumulation of historic (pre-1940) structures, rather than the architecture of isolated individual buildings. Therefore, the following criteria and standards emphasize context and compatibility with the established pattern of development in the evaluation of the design of building additions, rehabilitations or new infill structures. The primary objective is to retain and preserve features of the building site that are important to the overall historic character of the neighborhood. 1. New construction shall be designed in a style which is architecturally compatible with the existing structures on the property and/or structures in the immediate area. 2. New additions, exterior alterations, or related new construction shall not destroy historic features that characterize the property. The new work shall be compatible with the existing in terms of the massing, size, scale and architectural features, to protect the historic integrity of the property and its surroundings. 3. When constructing a detached garage, second unit and/or new infill construction, alternate materials, such as hardboard siding, hardboard garage doors, high-density polymer (foam), architectural elements can be used where such elements and materials convey the visual appearance of the original feature. 4. For new development involving a Significant Property, as defined by Fullerton Municipal Code Section 15.48.020, any additions shall be undertaken in such a manner that, if removed in the future, the historic structure would be unimpaired. a) Orientation - The principal façades of a new residence shall be those sides facing public streets. These façades should be oriented parallel to the street that they face. b) Floor Elevations - The height of the floor above-grade should be similar to the floor height of neighboring properties. A raised floor foundation should be used in construction of new habitable space whenever possible. 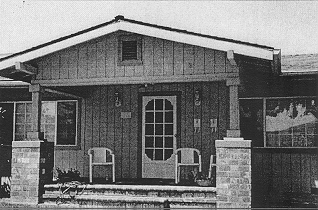 c) Façade Elements - In the remodeling and the rehabilitation of an existing residence, architectural elements, such as protruding bays, dormers, covered porches, and various off-sets of the façade, should be preserved, and in new construction, contemporary adaptations of such elements may be appropriate. 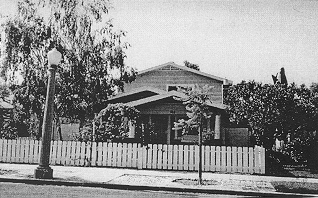 d) Additions - In order to preserve the façades of an existing residence and to generally maintain the existing character of block faces, the placement of building additions should be discouraged within the yards adjoining public streets and should instead be confined to side and rear yards which are generally out of public view. e) Maintenance of Façades and Elevations Facing a Public Street - Where air conditioning units, mechanical equipment, stairways, new exits, additional windows, or other such improvements must be added to accommodate a new use, these elements should be added to the least visible portions of the building. When exposed to view from the public street, such elements should be screened or have an integrated design with the existing residence. a) Detailing - Railings, moldings, tilework, carvings and other detailing and architectural decorations on front entrances and porches should be typical of the style and period of the residence. b) Enclosures - A front entrance or porch should not be permanently or fully enclosed. Removable materials may be permitted on Craftsman, Victorian, and California Bungalow-style residences, if they are designed to retain the style and period of the architecture. c) Style - Each residence should retain a front porch or entry treatment with a shape, roof form, materials, and colors that are typical of the style and period of the residence. A front entrance or porch should reflect the dominant horizontal or vertical form and profile of the residence. A residence on the 300 block of North Balcom Avenue: a good use of columns in the rehabilitation of the porch. a) Function - Columns should be permitted only as vertical supports near the front entrance of the residence or as vertical supports for porches. b) Materials - Columns should be constructed of brick, stucco, wood, cut stone or other materials that look typical of the style and period of the residence. Metal materials are not generally acceptable for columns. Used brick is generally not suitable for an exterior material. c) Style - Columns should be of a style typical of the style and period of the residence. d) Width Dimensions - The width of a column shaft at its widest point should be at least: one-eighth of the height of the column for a one-story column, and one-tenth of the height of the column for a two-story column. A residence on the 300 block of West Malvern Avenue: a new entry door respects the prevailing features of the front façade. a) Front Façade Openings - The number of door openings in the front façade of the main residence should not be increased. Each story of a front façade of the main residence should contain at least two windows or one window and a door. b) Style - The size, proportion and detailing of window and door openings located on the front and side façades of the residence must be typical of, and compatible with, the style and period of the residence. Single, fixed plate glass windows should not be allowed except as part of an original period design (e.g., transom windows and sidelights are acceptable for a Craftsman Bungalow style or large picture windows for a Spanish Revival style). A residence on the 200 block of North Princeton Avenue: a replacement of the original dougle hung windows to a contemporary aluminum frame does not meet the design guidelines. c) Shutters - Shutters should be typical of the style and period of the residence and generally match the size of the opening. a) Slope and Pitch - The degree and direction of roof slope and pitch should be typical of the style and period of the structure. 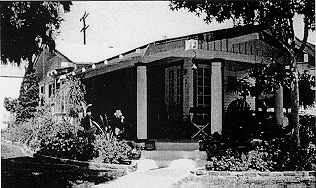 Flat roofs may be permitted as appropriate (e.g., for Spanish Revival architecture, covered porches or porte cocheres). Secondary roof forms for porches or dormers should also be compatible in style and placement. 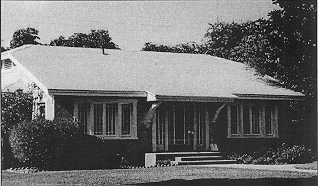 Generally, the roof form must be considered in the context of the existing roof forms on adjacent buildings. 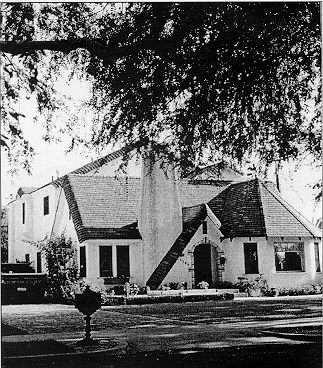 A residence on the 300 block of West Whiting Avenue: the roof of the second story addition repeats the pitch and design of the original architecture. b) Eaves and Overhangs - A replacement roof on an existing residence should have an overhang that is equal to the roof it replaces. Additions should maintain the same style and design of overhang, brackets, and lookout rafters. Exposed eaves, rafter tails, fascia design and material should be compatible with the existing roof style. c) Patterns and Materials - Roof patterns and material of a residence should be typical of the architecture of the structure. Composition roofing should have sufficient thickness and texture for appearance. A residence on the 100 block of North Berkeley Avenue: it exhibits an appropriate type of composition shingle for the size of the roof. d) Skylights and Solar Panels - Skylights and solar panels should be permitted only at locations that cannot be seen from public streets. All chimneys must be compatible with the style and period of the residence. Chimneys on the front portion of a residence or on a corner side elevation should be finished with fired brick, stucco, or other materials that match or are compatible in texture, color and style with the residence. 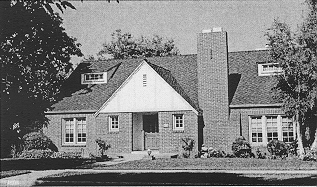 A residence on the 100 block of North Cornell Aavenue: an example of a remodel of a Craftsman bungalow not meeting the design guidelines due to the use of vertical wood siding, improper design and scale of posts supporting the roof, and the replacement of original windows. 1. In general, the only permitted façade materials are brick, wood siding, cut stone, and stucco or plaster. The same materials should be used on all sides of the residence. All façade treatments should be typical of the style and period of the residence, and the level of detailing shall be the same for all façades. 2. All exposed brick on façades should be fired brick. 3. Existing wood façades should be preserved as wood façades. Covering a wood façade of an existing residence with stucco shall not be permitted. 4. Wood shingles generally should not be permitted as a primary façade material, but they may be used in gables and on columns and foundation skirts in a manner that is typical of the style and period of the residence. 5. Material substitutes (e.g., fiberglass columns, tin cornices), will be considered during project review; however, traditional detailing and intent shall be maintained. Any improvements, restoration or additions to an existing residence should duplicate traditional original details and materials as accurately as possible. 1. All structures should have a predominant (base) color; the exterior colors of a residence should be compatible with, and complimentary to, the color scheme of neighboring properties. 2. Fluorescent and metallic colors should not be used on the exterior of any structure. 3. The use and color of stain should be typical of the architectural style and period of the residence. 4. Brick surfaces not previously painted should not be painted, unless it has been determined through review that painting is absolutely necessary to restore or preserve the brick or, when adding to or renovating the existing residence, a replacement brick of similar color and texture is not obtainable. 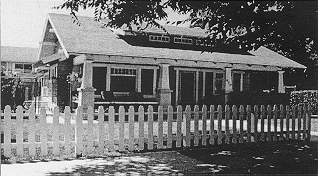 A residence on the 400 block of East Wilshire Avenue: a good example of a front yard fence for a Craftsman bungalow. 1. The top edge of a fence must be along a line that is either horizontal or substantially parallel to grade. 2. Fences and walls located within the front yard setback area shall not exceed 36" in height. Fences and walls located along side and rear yards shall not exceed six feet in height. Where there is a difference in grade between adjacent properties, the maximum fence height shall be six feet as measured from the high grade side and eight feet as measured from the low grade side. 3. The color, texture, pattern and dimensions of masonry walls, piers andpilasters should match the masonry and mortar joints of the residence as nearly as practicable. All exposed brick should be fire bricked. Walls constructed with concrete masonry units should have a stucco finish on any side facing the public street. 4. 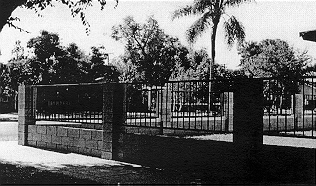 Wrought iron and metal fences must be compatible with the style and period of the residence. If a wrought iron or metal fence is painted, the color should complement the color of the residence. A residence on the 100 block of North Yale Avenue: the design of this front yard fence is not in keeping with the neighborhood. 5. Wooden fences should have structural posts at least four inches in diameter (nominal size). The side of a wooden fence facing a public street must be the finished side. Wooden fences should be painted or stained a color that is complementary to the residence. 2. All private sidewalks and curbing should be constructed of concrete or brick that matches or is compatible in texture, color, and scoring with the surrounding paving materials. 3. For driveways in new development, the minimum permitted width within the front yard is six feet; the maximum width is nine feet. The drivway should be spaced a minimum of one foot from the property line of an adjacent lot. 4. Ribbon driveways are encouraged to break up the expanse of paving and to provide increased landscaping. When used, the ribbon should extend the majority of the driveway and have a minimum internal grass width of 18 inches. A residence on the 400 block of West Malvern Avenue: a good use of awnings and a ribbon driveway. 1. Port cochere (covered entrance): An existing porte cochere should be preserved as an architectural feature and not be enclosed by fences, gates, or other structures or materials.